Nick Henderson, one of the pioneers of healthcare PR, has died aged 92. Henderson was head of communications at the Association of British Pharmaceutical Industry in the mid-1960s before founding what is commonly viewed as the UK’s first healthcare PR agency, Henderson One, in 1967. The agency initially worked across a range of sectors, representing clients such as luxury watch brand Seiko, tractor manufacturer John Deere, and Cosmopolitan Magazine - it helped launch the title in the UK. Its first major pharma account was the Oral Contraception Information Centre, representing manufacturers of the ‘pill’ to promote and defend it against some strident criticism in the early days. Henderson, who died before Christmas, made a substantial contribution to the PR, marketing, pharma and veterinary industries across several decades. In 1974 he founded the Aspirin Foundation, which was created to increase the knowledge and understanding of the drug. He was working on the account up to his death. Henderson also founded the Veterinary Marketing Association (VMA) and the Association of Veterinarians in Industry. In the 1980s he helped launch Veterinary Drug magazine, which became Veterinary Times, were he contributed a monthly column until 2013. He also spent time as a broadcaster, presenting the BBC’s coverage of the National Cat Show, and was a published author of books about pets. Henderson’s son Tarquin followed his father into the PR industry, with spells at Kingsway, Financial Dynamics and Hill+Knowlton, later founding energy consultancy Reenergise. 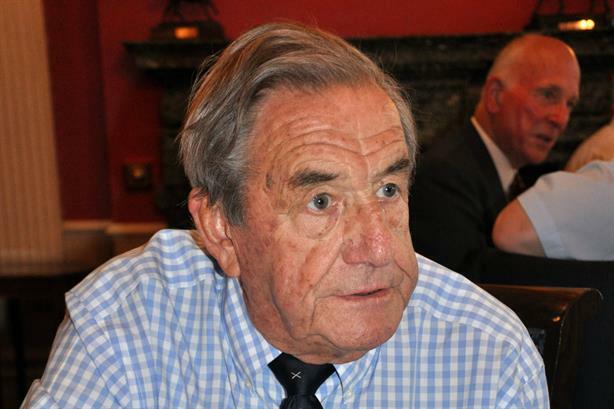 Tarquin Henderson said: "My father was a larger-than-life character whose lifelong desire was to achieve something meaningful in his career and pass on what he knew to the next generation. He certainly achieved both and was in many ways a pioneer in the PR industry. I am incredibly proud of him. "We’ll miss him, of course, but there is plenty to remember and smile about. He lived life to the full - including a couple of large malts and a cigar on the night he passed away."